*Note: This date only; the other two TMBG shows at this venue (April 29 and 30) will feature different opening acts. Their debut as openers for They Might Be Giants. Performed the album Flood in its entirety. 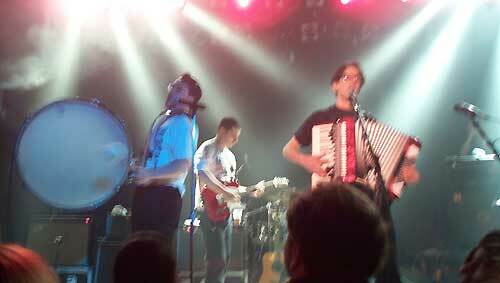 October 31, 2001 - 9:30 Club, Washington D.C.
Special Halloween show opening for They Might Be Giants. Again, Performed the album Flood in its entirety. This show is available as a webcast on DCN! Rock on! Special thanks to Rachel Vecchitto for the photos.